The Orange Line will connect the Thailand Cultural Centre in Huai Khwang district to Min Buri district in eastern Bangkok. Image courtesy of Waerth via Wikipedia. The stations are planned with multiple passageways, platform screen doors and security personnel. Image courtesy of Ilya Plekhanov via Wikipedia. The Orange Line will be operated with a total of 16 trainsets during the first year of operation. Image courtesy of Ilya Plekhanov via Wikipedia. The Orange Line is a proposed rapid transit system that will connect the Thailand Cultural Centre in Huai Khwang district to Min Buri district in eastern Bangkok. The 21.2km electric railway line will include a 12km underground section and a 9km elevated section, and will serve approximately 114,000 passengers a day. A planned second phase of the line will extend the route by 17.5km to Taling Chan, which will increase the ridership to 500,000 passengers a day with both the phases operative. 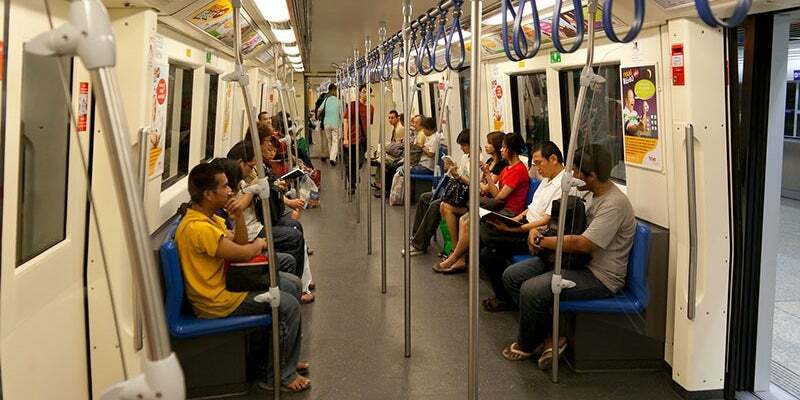 The government-approved the Orange Line to expand the metro network in the Bangkok metropolitan area and reduce the road traffic congestion. The prime goal is to lower the use of cars and the budget on oil imports and reserves. The Orange Line was proposed in 2013 and had been scheduled to be operational by 2019, but protests from the residents against the line route caused delays to the project. It is now approved by the Thai Government and is scheduled to be completed in August 2022. The project is proposed to be built in two phases. The first phase is planned from Thailand Culture Centre to Min Buri and the second phase would extend the route to west towards Taling Chan. The Orange line will begin at Thailand Cultural Centre station and turn towards the Mass Rapid Transit Authority of Thailand (MRTA) depot. It will continue along the Rama IX road turning left into Ramkhamhaeng road. It will pass the Lam Sari intersection, Kanchanapisek road intersection and finally terminate at the Suwinthawong station near the Ramkhamhaeng-Suwinthawong junction. Stations on the Orange line are planned to have multiple passageways, platform screen doors and uniform security personnel with security cameras present at each and every platform. Phase one of the project will have 17 stations, including seven elevated stations and ten underground. "The government-approved the Orange Line to expand the metro network in the Bangkok metropolitan area and reduce the road traffic congestion." The stations between Thailand Cultural Centre and Min Buri will be located at Min Buri, Suwinthawong, Keha Ramkhamhaeng, Min Phatthana, Rat Phatthana, Nom Klao, Sammakon, Khlong Ban Ma, Si Burapha, Lam Sali, Hua Mak, Hua Mak Stadium, Ramkhamaeng, Nawasi, Khlong Lat Prao, MRTA Depot and Thailand Cultural Centre. The planned second phase of the rail line to Taling Chan will be an underground section for th entire 17.5km and will include stations at Pracha Songkhro, Din Daeng, Victory Monument, Ratchaprarop, Pratunam, Ratchathewi, Banthat Thong, Yommarat, Lan Luang, Democracy Monument, Sanam Luang, Siriraj and Bang Khun Non. The Orange line will feature trains running at a maximum speed of 80km/h. A total of 16 trainsets with three cars per trainset will be deployed during the first year of operation. The Orange Line project is wholly managed and handled by MRTA. Asian Engineering Consultants (AEC) were contracted to perform preliminary design and environmental impact assessment of Phase I. The total estimated investment on the project is $3bn, which includes $2.2bn for civil works, $300m for mechanical and engineering works, $270m for land expropriation and the remaining $200m to project consultant and design and tender document preparation consultant. Al-Aaly's aim is to simplify the process of architecture, design and construction for its wide-range of clients in the railway industry and beyond. By using our experience and specialist knowledge of local planning and building regulations, we can tailor project requirements to individual needs with regular reviews and discussion throughout each project.